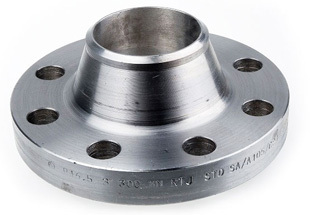 We are Supplier & Exporter of Nickel Alloy 200/201 Pipe Flanges, Nickel Alloy Slip on Flanges, Blind Flanges, Nickel Alloy Plates Flanges Manufacturer in India. 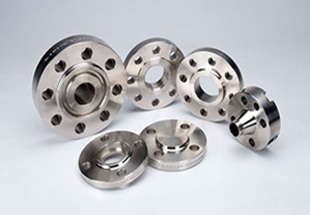 The offered flange is manufactured using the high grade nickel alloys and sophisticated techniques in adherence with the prevalent quality standards. This flange is inspected on different parameters so as to deliver a flawless range to customer’s end. Our offered flange can be availed from us in diverse specifications as per the variegated customer’s requirements. Monel 400/K500 Flanges, Inconel 600/625 Orifice Flanges, Incoloy 800/825 Forged Flanges, Hastelloy B2/C22/C276 Socket weld Flanges, Alloy 20 Reducing Flanges Supplier in India. Nickel Alloy Material Monel, Nickel, lnconel, Hastelloy, Copper, Brass, Bronze, Titanium, Tantalum, Bismuth, Aluminium, HighSpeed Steel, Zinc, Lead,etc. Houston, New Zealand, Tunisia, United States, Mexico, Azerbaijan, Ethiopa, Iran, Cameroon, Jordan, Sri Lanka, Democratic Republic of the Congo, Israel, UK, Nigeria, Peru, Argentina, Angola, London, Saudi Arabia, South Africa, Iraq, Malaysia, Sudan, Africa, Canada, Vietnam, Thailand (Bangkok), Russia, Kazakhstan, Australia, UAE, Indonesia, Venezuela, Algeria, Dubai, Bahrain, Uganda, Turkey, Mozambique, Italy, Kuwait, Germany, Chine, Trinidad and Tobago, Morocco, Colombia, Egypt, Brazil, Ghana. Soweto, Kolwezi, Abu Dhabi, Tripoli, Durban, Algiers, Data from the UN, Luanda, Fez, Colombo, New York, Cairo, Dar es Salaam, Lusaka, Douala, Bamako, Ibadan, Hong Kong, Kaduna, Mbuji-Mayi, Brazzaville, Khartoum, Addis Ababa, Ouagadougou, Subra al-Haymah, Maiduguri, Aqaba, Benin, Manama, Zaria, Jeddah, Casablanca, Abidjan, Byblos, Omdurman, Cape Town, Johannesburg, Dubai, Nairobi, Mecca, Pretoria, Istanbul, Lagos, Giza, Cairo, Kano, Tel Aviv, Harare, Antananarivo, Port Harcourt, Amman, Conakry, Rabat, Yaoundé, Singapore, Bulawayo, Beirut, Lubumbashi, Muscat, Kampala, Alexandria, Kinshasa, Freetown, Riyadh, Maputo, Tehran, Sharm el-Sheikh, Jerusalem, Bethlehem, Accra, Port Elizabeth, Mogadishu, Dammam, Doha, Dakar.